As you all know, the month of February (aka the fashion month), has been pretty crazy and hectic, not only for a crazy schedule, but also for constant travelling which as we all know, can be pretty brutal on your skin. Airplanes, hotels, crazy New York wind or Parisian cold, my skin definitely needed my full attention and a really special care. So as you might have noticed, if you follow me on Instagram (@tesajurjasevic), this season I brought something special along with me, also known as Afrodita's Hydra Patch line. It's a new generation of moisturising care with active anti-pollution protection, which is pretty much all I could ask for when it came to my fashion week skincare routine! 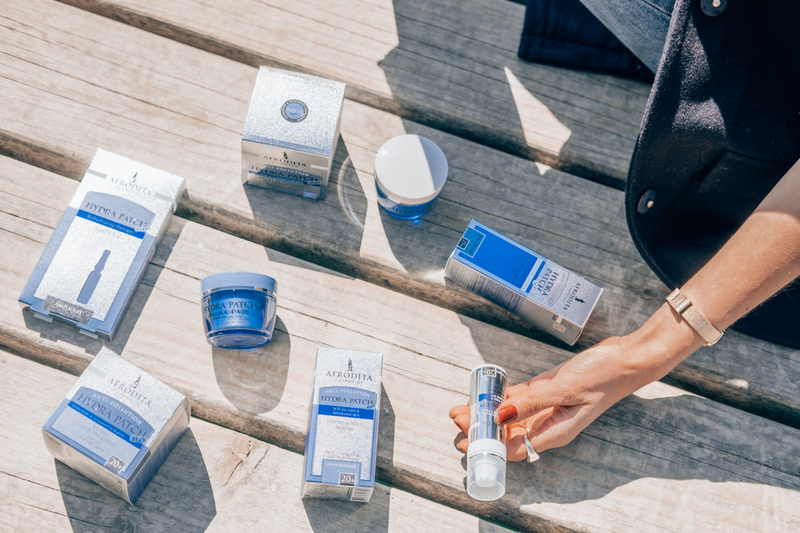 The HYDRA PATCH range includes products for all skin types, offering an intensive, instantaneous hydration, combating the affects of pollution and signs of ageing. Even though I have a dry skin, I decided on a cream for normal to combination skin, as the cream for dry skin, was a little bit too thick and heavy for me. One of my favorite products to use along with it, was HYDRABOOST SERUM, that I would apply before the cream, as an excellent base and of course (as the name says) an extra hydration boost! The range also offers an EYE CREAM, that to be honest, I didn't really use that much, but my ultimate winner are definitely the AMPOULES! A real special treatment, which is pretty much a new generation of skincare! 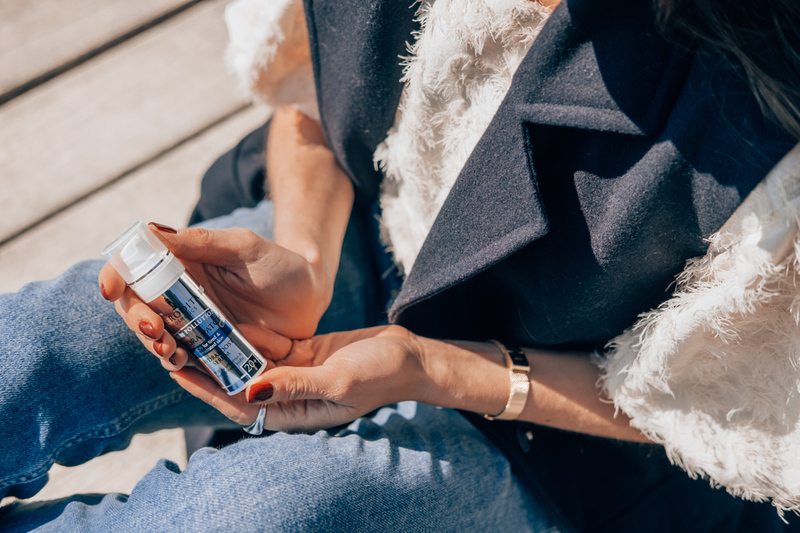 With their ability to penetrated deep into the skin layers using PatchH2O technology, they intensively moisturise even the most tired and dehydrated skin within minutes, or to some it up, they feel incredible! They give you an extra boost, an amazing feeling of refreshment and well as a real proof of how much I love them, you can see my genuine first reaction HERE. But after running around big cities for a month, it feels so good to be back home and to take some time off to relax and recharge. So what better way to do that, but to drive outside the city and escape the everyday routine for a while. Of course that doesn't include my Afrodita beauty routine, that both Ajda and I will definitely continue using (you can read Ajda's thoughts on it HERE), as after putting it through "fashion month test", I can say with no doubts, that it is a perfect line for me! koje predivne slike...divne ste obje!